Delta Force Paintball has become the playground of the stars with yet another film shoot taking place this time at our Melbourne location in Dingley. 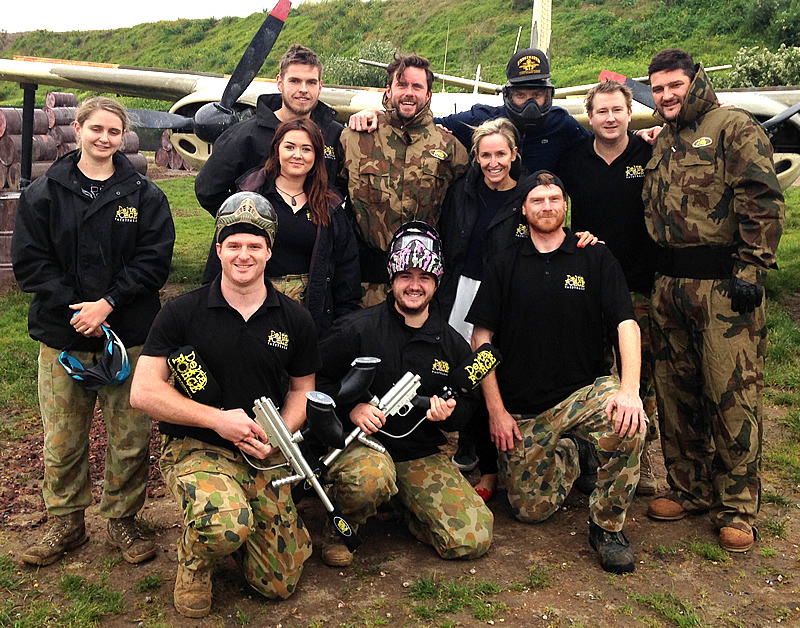 Southern Cross Austereo radio station Fox FM approached Delta Force to play host to their latest Blackout Challenge. In a revenge mission for host Fifi Box after a bruising ice hockey challenge a week earlier, all hosts were blindfolded and wore noise-cancelling earmuffs. The professional Delta Force Dingley crew were on hand to help Fifi, Dave and Fev into all necessary safety equipment and lead them out to the game zones where the big reveal was to occur. Fifi was supplied with two paintball markers while Dave and Fev were supplied with an apple each- to put on the top of their Fusion Tactical Goggles. After some initial nerves were allayed, Fifi got to task at shooting the apples William Tell style. To their credit the boys stepped up and took everything Fifi aimed at them in a satisfying come back after the harrowing ice hockey challenge. Everyone had a blast and left with big smiles on their faces. Producers even commented how keen they are to return to Delta Force Paintball for their Christmas Party at the end of the year. You will be welcomed back with open arms.